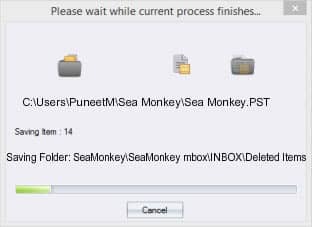 SeaMonkey emailing platform supports multiple accounts, junk mail folders, message filters, address book and other sophisticated features. Although, the important point to note is that now SeaMonkey is an obsolete email program because of the absenteeism of any new versions since its introduction. The users are not really keen in it anymore and the most valid reason of cutoff from the right and effective development is enough to motive users to migrate to the updated or advanced featured email applications such as MS Outlook. 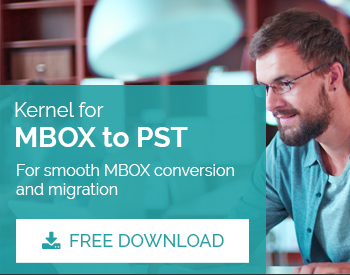 Open Kernel for MBOX to PST interface. Click SeaMonkey button available on the window. 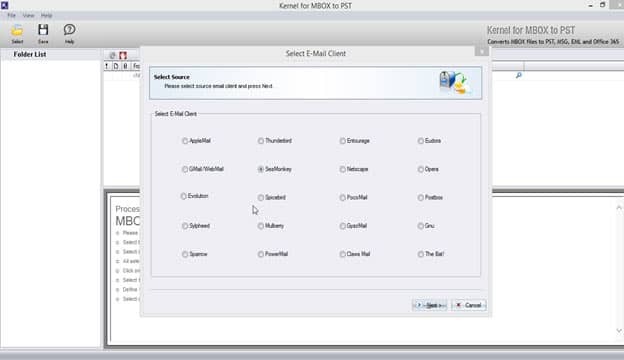 In this step, select SeaMonkey files and folders to be converted into Outlook PST mailbox. The selected files are added to the tool using ‘Add file(s)’ button. The same files can be removed, if needed, using ‘Remove File(s)’. Click ‘Finish’ to enter another step of conversion from SeaMonkey to PST. Once ‘Finish’ button is clicked, the tool’s interface presents detailed information on the selected SeaMonkey files and folders. The obtained results can be saved in the next step. 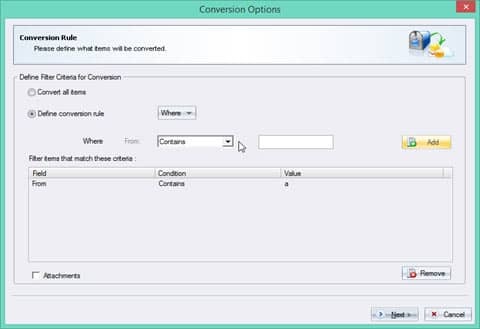 As ‘Save’ icon is clicked, specify the filter criteria for the conversion. 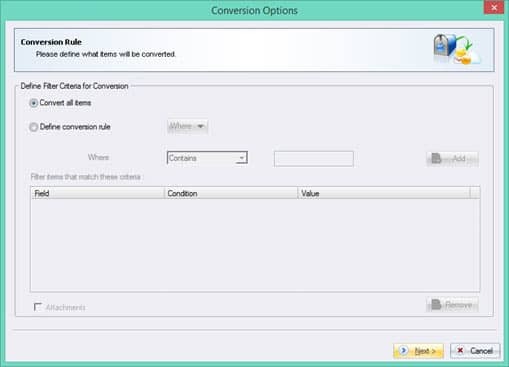 It includes ‘Convert all Items’ and ‘Define Conversion Rule’. 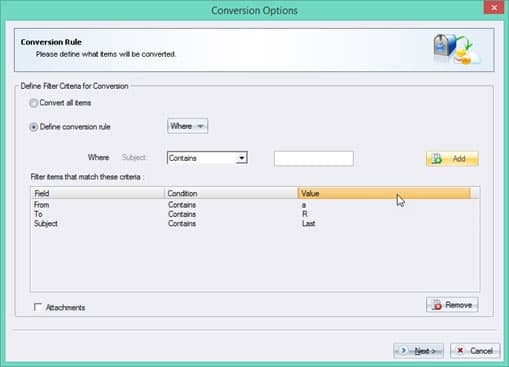 To simply convert all the file and folder items, click ‘Convert All Items’, while for specific file or folder, define the conversion rule by clicking ‘Define Conversion Rule’ in such case. When ‘Define Conversion Rule’ is selected, user has to be more specific about the file. It is done by clicking ‘Where’ dropdown menu that contains four options, namely: From, To, Date and Subject. In ‘From’ field, enter the entity with which the possibility to find the concerned ‘File’ is maximum. Similarly, specify an entity in ‘To’ field that maximizes the chances of locating the SeaMonkey file. The ‘Subject’ field is also required to be filled alike ‘From’ and ‘To’ fields. It is usually filled with text used in the subject line. In the ‘Date’ option, specify the date range in which the concerned file is expected to be sent/received. 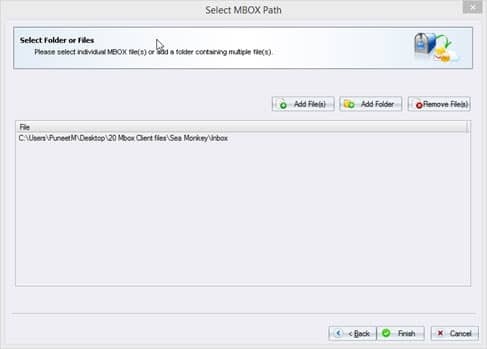 Once done, click ‘Next’ to save the SeaMonkey files in Outlook PST. It provides different saving options like ‘Save in PST’, ‘Save in MSG’, ‘Save in EML’ and ‘Save in Office 365’. Click ‘Save in PST’ to proceed in the saving process. Moreover, just make sure whether converted SeaMonkey file is to be saved in new PST or pre-existing one. 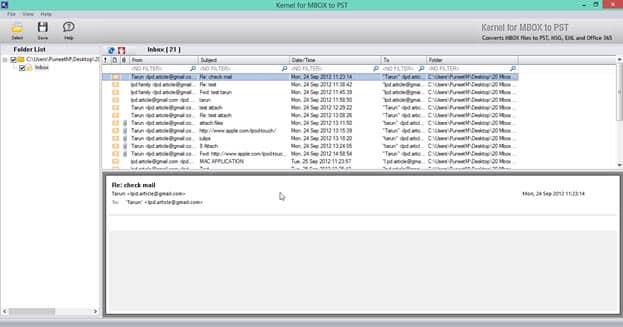 Click ‘Create New PST File’ to export and save the required data in new PST file. Hit ‘Browse’ button to provide the destination path of the newly created PST file. 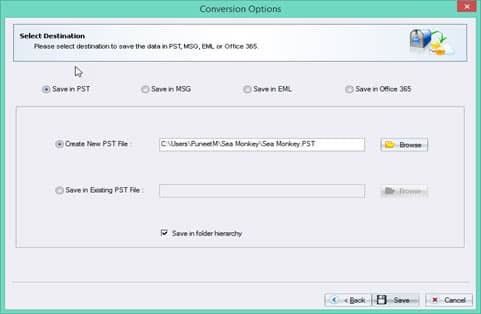 To save the SeaMonkey files in pre-existing PST files click ‘Save in Existing PST File’. Hit ‘Browse’ button to provide the location of the pre-existing PST file. Click on ‘Save in folder hierarchy’ to perform so. Once done, click ‘Save’ button to initiate the conversion process. How to Convert Evolution to PST? How to Migrate Netscape to PST?